India 0-37 (Shikhar Dhawan 21*, Murali Vijay 16*) trails West Indies 234 (Marlon Samuels 65, Shivnarine Chanderpaul 36, Mohammed Shami 4-71, Ravichandran Ashwin 2-52) by 197 runs with 10 wickets in hand. The young quick bowler of India, Mohammed Shami, put his side on top while playing his first game as the hosts were cruising nicely after the 1st day’s play. 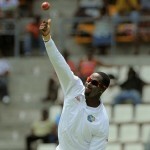 The Caribbeans managed 234 after 78 overs and the home side reached 37 without loss in 12 overs. 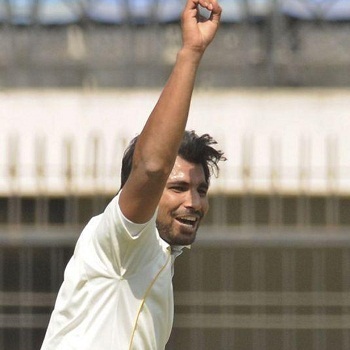 The first Test of the two match series commenced on Wednesday, November 6, 2013, at Eden Gardens, Kolkata. Earlier, Darren Sammy won the toss for the Windies and opted to bat first on a good looking batting strip. 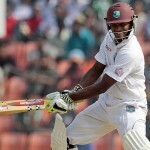 They lost both openers at 47 as Marlon Samuels and Darren Bravo tried to put things in order with concentration. The first was the most productive of the two and was sending the ball out of the fence regularly. Bravo kept on securing his wicket while Samuels reached his 6th Test fifty and was dropped by MS Dhoni behind the wickets at 60. The latter was clean bowled at 138 by Mohammed Shami for 65 of 98 balls with 2 lofty sixes and 11 fours. Bravo followed him without any addition to the total for 23 and the remaining batting of the visitors revolved against the seasoned Shivnarine Chanderpaul. The middle and lower order batting surrendered against the quality bowling of India and the wickets kept on sliding at regular intervals. 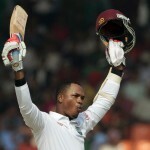 Chanderpaul was dismissed for 36 as the entire innings of West Indies was squeezed for 234. 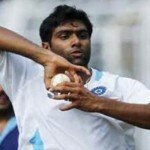 The debutant, Mohammed Shami, was the star performer with four wickets, Ravichandran Ashwin held two whereas Bhuvneshwar Kumar, Pragyan Ojha and Sachin Tendulkar shared one each. Shikhar Dhawan along with Murali Vijay provided a solid beginning for the hosts and enjoyed their batting until the end of the 1st day’s play. They dispatched 6 fours in 12 overs and were unbeaten for 21 and 16 runs respectively. India is placed at a comfortable position and will be anticipating a sizeable lead in the first innings.